Key difference: Interior Decorator and Interior Designer both work at decorating a space. Decoration is the furnishing or adorning of a space with fashionable or beautiful things. An interior designer is someone who designs a space. This may require some construction, as well as decoration. The terms Interior Decorator and Interior Designer are often used interchangeably; however, the two jobs are quite different from each other. The terms are related, which is why the confusion arises. 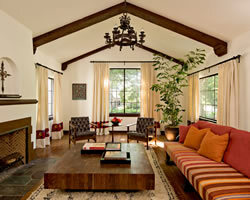 Interior Decorator and Interior Designer both work at decorating a space. Decoration is the furnishing or adorning of a space with fashionable or beautiful things. However, Interior Design goes a step further: Interior design is the art and science of understanding people's behavior to create functional spaces within a building. Essentially, an interior designer is someone who designs a space. This may require some construction such as breaking down walls, putting up new walls, tiling, flooring, etc., in addition to decorating, which is just the styling, furnishing or adorning of a space. An interior decorator, on the hand, just decorates, and rarely includes construction as part of their projects. An interior decoration is someone who decorates a space, i.e. furnishes or adorns a space with fashionable or beautiful things. An interior designer is someone who performs tasks which involve planning and design similar to an architect while primarily concentrating on the inside of the structure. Decorators concentrate on colors, flooring, furnishings, fabrics and accessories; not all of the planning it takes to renovate or build a space. Designers focus on everything that it will take to renovate or build a space. Interior Decorators may have a general knowledge or no knowledge at all about building codes and safety laws. Interior designers understand building codes and safety laws while also having the ability to create visually pleasing spaces. A decorator may work in a design showroom or retail store or even have their own freelance business. 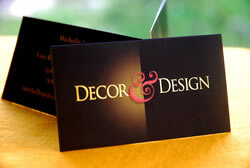 A designer usually has their own business and may hire decorators. Usually a decorator needs one a sense of style and no extra education. Interior design is a specialized field, which may require education, training and some form of licensing. Mainly includes designing, furnishing, colors, wall coverings and the finish elements of a project. Similar to an architect’s with emphasis on furnishings, colors, wall coverings and the finish elements of a project. They also typically create plans and designs which could include lighting, interior space planning room layouts, as well as kitchen and bath designs. Some decorators only perform residential work. Often perform residential work, as well as commercial work, such as restaurants, hotels, medical facilities, retirement homes and offices. A decorator is usually hired after construction has commenced when it is time to start selecting finish materials and soft goods. An interior designer can work on a project from start to finish; preparing plans and construction details for bidding and permitting as well as supervising the installation of the work. Usually work alongside architects to ensure the space comes together effortlessly. Thanx for post this helpful article. I was confused about these two terms. Because of your article i can find best interior designer for my house.